There’s no denying that this summer has been a scorcher at times, requiring diligent application – and re-application – of a quality sunblock, no questions asked. Whenever I’ve asked beauty experts – be they dermatologists, make up artists or cosmetic surgeons – for their pick when it comes to anti ageing skincare, they all agree that the most important thing you can do to keep your skin looking good well into old age is wear a sunscreen. Daily. No arguments, no forgetting on a cloudy day. Add to that the fact that an estimated 90 per cent of all melanomas in Australasia are caused by direct sunlight, making daily sunscreen use an absolute no brainer. Most sunscreens last twelve months max after being opened too, so if you’re still got some sitting around in your beach bag or glove box from this time last year then chuck it - ASAP! 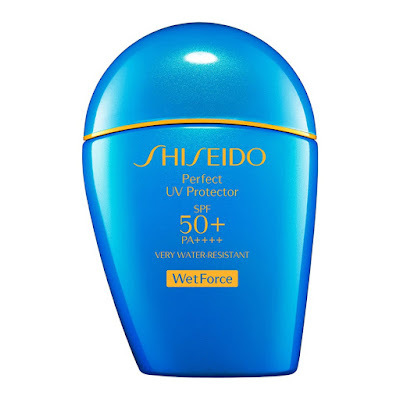 One formula that I have fallen in love with is the work of beauty giant Shiseido, who have long been about protection from the sun and achieving flawless skin. Unsurprisingly for those that know the brand well, it is a sunscreen formula that has been perfectly executed, and even comes with an important twist. Providing powerful protection for your skin, Shiseido’s Perfect UV Protector’s innovative protective veil actually becomes even more effective when it comes into contact with water or perspiration. 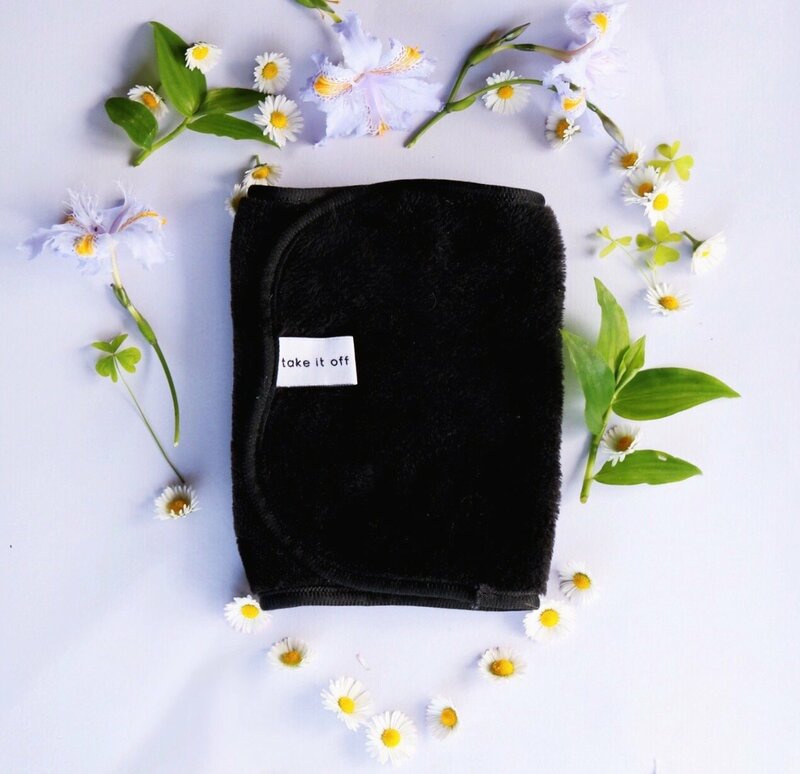 It also includes skincare ingredients that prevent dryness, oxidation and damage to cells and DNA, and it is incredibly gentle on the skin and a breeze to apply. It protects skin from UVA and UVB rays and helps reduce the appearance of photo-aging with the brand’s exclusive SuperVeil-UV 360™ technology, and it’s their WetForce technology that reacts positively to sweat and water on contact, activating additional strength within the protective veil. The likes of Thiotaurine and Rose Apple Leaf Extract are included to counteract oxidation, whilst the super light formula absorbs quickly into the skin - with no white residue – and actually gives you a smoother application surface for foundation. How amazing is that? Zero excuses not to apply your daily dose right there, and it is also non-comedogenic and dermatologist and opthalmologist approved. It’s suitable for face and body too, so I recommend stocking up on a few of these beauties for the handbag, the car and the beach! At $60.00 this formula isn’t cheap, but when you consider all of the amazing things it can do for you it comes highly recommended. In exciting news for Shore-side beauty fans – and those of us that like to hit their local beaches on the regular – the MECCA brand is opening a new beachside store in the heart of Takapuna on Auckland’s North Shore. The new store will bring many of the world’s most luxurious and coveted beauty brands to Auckland’s North Shore for the very first time, accompanied by Mecca Cosmetica’s signature first-class beauty service and expertise. Among other firsts, the 175-square-metre Meacham Nockles-designed space will be the first New Zealand store to offer a full MECCA Perfumeria, complete with an expert in-store fragrance concierge to guide customers through a truly sensory experience. 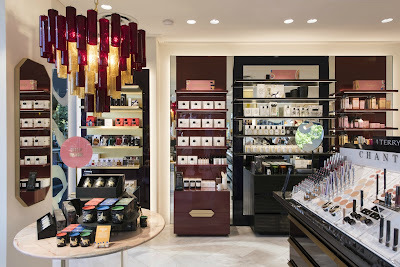 The store-within-a-store will offer up some of the globe’s finest fragrance brands including signature scents such as Byredo, Diptyque, Frederic Malle and Maison Francis Kurkdjian. Almost enough to make me want to move to the Shore, to be honest – what an amazing offering! The MECCA Trove concept also finds its first Ne w Zealand home within the Takapuna destination – a place to discover true beauty treasures from around the globe and featuring a handpicked selection of niche, undiscovered brands like brow grooming specialists Le Sourcil, Iiuvo candles and iconic Parisian skincare brand, Codage. Add to all of that amazingness makeup offerings from NARS, Hourglass, Chantecaille, Stila, By Terry and RMS Beauty and skincare brands Sunday Riley, Tatcha, Dr. Dennis Gross, Kate Somerville as well as a dedicated Jetsetter travel section, the store will offer all of the cult-classic products that Mecca Cosmetica customers know and love and then some. Mecca Cosmetica Takapuna will also feature eight makeup stations available for makeup application or skin consultations and will be the eighth in New Zealand’s MECCA store network of Cosmetica and Maxima beauty destinations. This image above is of the divine Mecca Cosmetica in Carlton, Victoria, but it gives just a hint of what you’ll see come Thursday, March 8 at 9am at 6 Hurstmere Road. I can’t wait! These days, the act of supporting the bacteria that lives in our microbiome (all 100 trillion-plus of them) has become relatively accepted, with probiotic supplements and foods like keffir becoming the norm. So much so, in fact, that it’s inspiring many of us to include “good” bacteria not only our diets but also our skincare regime. “For skin, probiotics work in a similar way as they do for the digestive system,” New York dermatologist Dr. Francesca Fusco told Vogue. “They help it [to] remain in a balanced state.” If you want a flawless glow, nurturing your skin flora is the place to start. Probiotics benefit the skin in a few different ways. They act as a protective shield by preventing bad microorganisms from provoking an immune reaction, produce natural antibiotics to combat bad bacteria and help the skin protect itself from the likes of free radicals, sun, and pollution. All of this means reduced inflammation, which helps to slow down skin’s ageing. 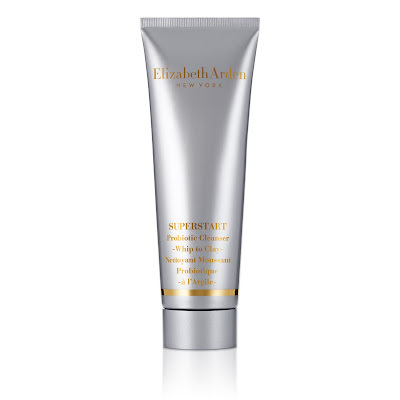 Which brings me to news that Elizabeth Arden is expanding their revolutionary SUPERSTART line with the addition of SUPERSTART Probiotic Cleanser -Whip to Clay- and SUPERSTART Probiotic Boost Skin Renewal Biocellulose Mask, both of which harness the power of probiotics in conjunction with rich botanicals to holistically help restore skin’s glow. The new cleanser feels amazing on the skin, harnessing probiotic power to cleanse skin and help support its natural defences. A whipped mousse formula, it transforms into mineral-rich clay to remove dirt, impurities and makeup without stripping, drying, or leaving an oily residue while also supporting skin’s natural hydration. With water, it foams into a soft lather, leaving skin feeling soft, smooth and primed for the next step in your skincare regimen. To use, just apply an even layer on dry skin and leave for one minute. Next, gently massage it in a circular motion with warm water for a light foam lather. Rinse thoroughly and pat dry. 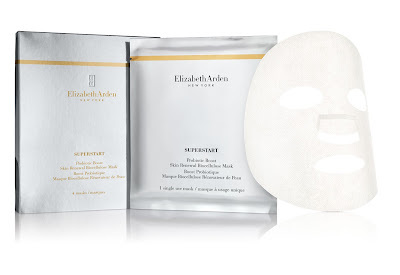 The SUPERSTART Probiotic Boost Skin Renewal Biocellulose Mask (4 masks, 18ml each RRP$95) delivers double the probiotic power of the existing SUPERSTART Skin Renewal Booster to support skin’s natural defences and improve its resilience. 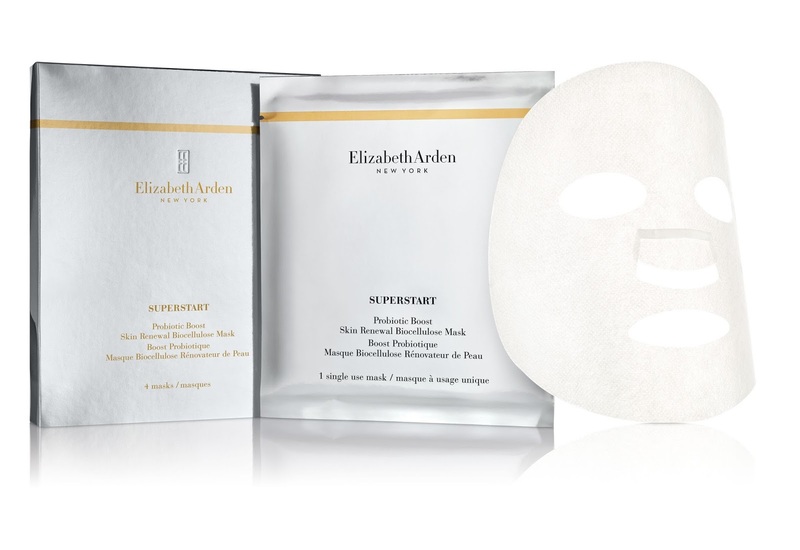 The luxurious mask infuses skin with a concentrated formula that includes hyaluronic acid and a probiotic blend to help optimise its natural renewal process for radiant, smooth, healthy-looking skin in just one treatment, and if you use it twice a week you’ll seriously start to see results. Add to that the fact that the biocellulose mask is made with a natural fibre derived from 100 per cent fermented coconut water, so it fits snugly to facial contours, almost like a second skin. 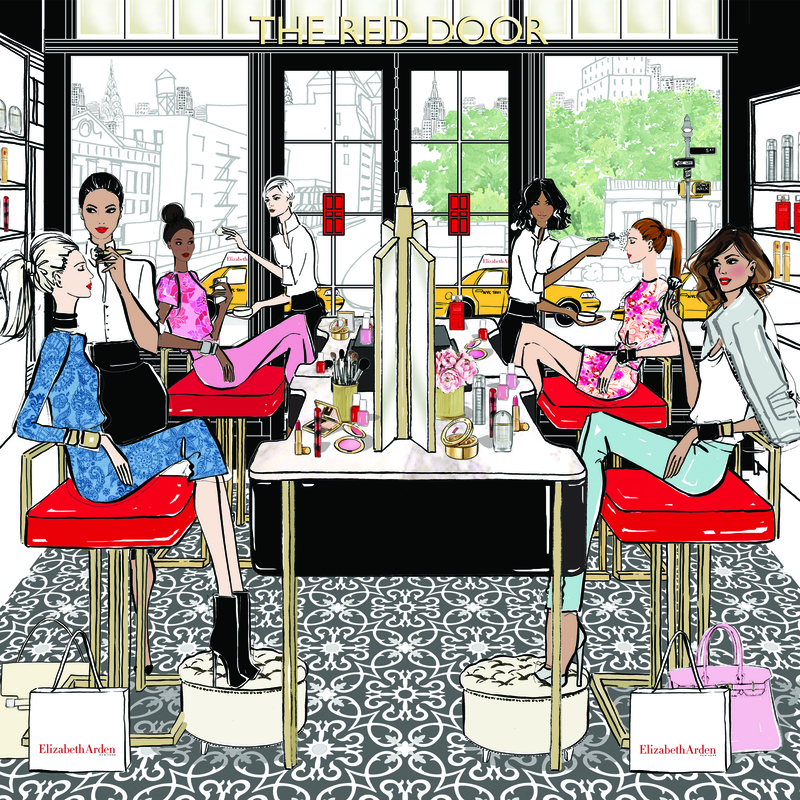 The full collection will be available at Elizabeth Arden counters nationwide from April 2, 2018. Justin Thornton and Thea Bregazzi – the husband and wife team behind label Preen – created one of the most memorable collections thus far at this year’s London Fashion Week, with models sporting an “Aquatic Aesthetic” hair look to match. For Preen’s AW18 show, Wella and ghd fashion week ambassador Eugene Souleiman added the aforementioned beauty vibe to the always effortless and romantic collection. Known for combining hard and soft textures, this season Preen turned to tailored scubawear mixed with floating florals for the clothing inspiration. There was no one hair look or approach. The end result was achieved by working with each model’s natural hair, creating effortless texture with just a touch of product to enhance the end look. In terms of technique, “it’s all about your hands, it’s not about a brush or a comb – it’s hair that you can touch with a soft stringy texture that’s octopus-like,” Eugene explains. Drunk Elephant is one of my absolute favourite clean beauty brands, and a sensitive skin person’s dream come true due to its refreshing lack of essential oils, fragrance, alcohol, dyes, chemical screens or SLS. Their C-Firma Day Serum ($127.00) is a multi-award winner with good reason, and available locally at Mecca Maxima and meccabeauty.co.nz. A super-potent Vitamin C day serum packed with a powerful antioxidant complex, essential nutrients, fruit enzymes and a chronopeptide that provides the benefits of vitamin D, it aims to firm and brighten the appearance of skin while improving the signs of photoageing. The revolutionary – and lovely to use – serum comes jam-packed with a 15 per cent potent antioxidant complex of l-ascorbic and ferulic acids plus vitamin E, which helps neutralise damaging free radicals while replenishing lipids and reducing the look of dark spots and wrinkles. It has also been formulated with pumpkin ferment and pomegranate extracts, so it enzymatically - and gently - dissolves dead surface skin cells for smoother texture. It’s pretty amazing, and if the huge volume of five star reviews it garners online are anything to go by, it does what it says and more. I also love the fact that C-Firma has what the beauty industry calls a “reservoir effect”, which means it will stay active on skin for up to 72 hours and cannot be washed or rubbed off. Also available from Mecca is Dr. Dennis Gross C+ Collagen Brighten + Firm Vitamin C Serum ($124). Powered by a heady cocktail of skin-revitalising actives, it is a fast-absorbing gel-serum that repairs imperfections and recharges the skin for a healthy-looking glow. Other ingredients in the formula include collagen amino acids, carnitine and niacinamide to strengthen, soften the appearance of wrinkles, banish dark spots and boost radiance. 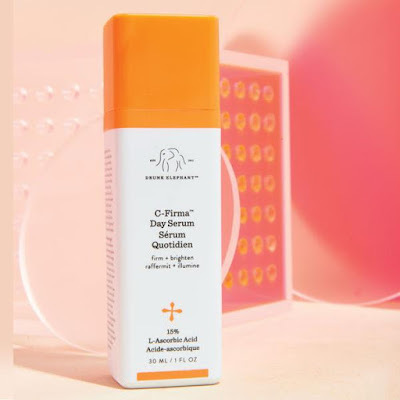 Société’s Triple C Serum ($207) is a great choice if you really want to pull out the big guns on the Vitamin C front, as it combines three of the most stable forms of Vitamin C available in a neutral (non-acidic), non-irritating form. This allows it to be suitable for all skin types including problematic, sensitive and post-procedure skin, and it uses a water-based (not lipid-based) delivery system that won’t clog pores or cause breakouts. Its DNA repair mechanisms aim to reduce hyperpigmentation dramatically, and supports damaged cells so they can repair themselves over time. Another Vitamin C-driven product that’s designed to awaken tired, dull skin is Murad’s Intensive-C Radiance Peel, which the skin specialists call an “at home spa treatment that dramatically reverses environmental aging caused by sun, smog and pollution” – who doesn’t like the sound of that? Part of their Environmental Shield range, it’s a powerful little number containing Vitamin C and Indian Fig that work together to stop free radical damage and enhance skin clarity, while Myrtle Extract supports collagen production to give skin extra resilience and elasticity. It's a triple threat that brightens, smoothes and hydrates skin in just one treatment, using Glycolic Acid to gently exfoliate skin and accelerate the turnover of damaged cells. Murad’s Intensive-C Radiance Peel is designed to be used up to twice a week (with my sensitive skin I’ve kept it to once for now) and is a ten minute-long exercise session for the skin if ever there was one. Easy to use and delivers results? Music to the ears. 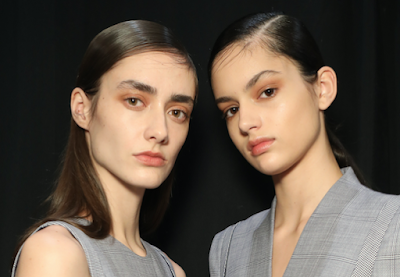 Always the innovator, this week Australian design superstar Dion Lee debuted his Fall 2018 collection at New York Fashion Week… and it was a stunner. 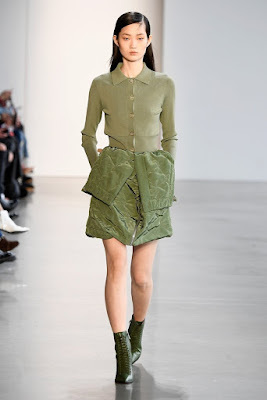 The slick designer presented another new take on jacket tailoring this season, this time fusing underwear and outwear and bringing a lingerie aesthetic to dresses, tops and sweaters. To create a ‘tough glamour’ beauty vibe to compliment Lee’s collection, iconic hair styling brand ghd partnered with their fashion week ambassador Eugene Souleiman to create a sharp and wearable hair look that was a match made in heaven for the looks on the runway. Inspired by the collection, the super stylist created two variations on a single look whereby the texture of the hair changed seamlessly from root to the tip. Models were given sharp, clean, deep side-parts which transformed into a looser, more natural form in the mid-lengths and then again into raw, discretely waved ends with movement. 1. Create a deep, straight side part on the side of the head that suits best. 2. Spray Wella Elements Leave In Conditioning Spray and EIMI Mistify Me Light close to the hair at the roots so that hair doesn’t look too fresh and clean. 3. Blow dry hair with the ghd air hairdryer to achieve a smooth finish that sits flat to the head. 4. Use the ghd oval dressing brush to smooth hair back from the hairline and to give a sleek finish around the head. 5. Enhance the hair’s natural texture in the mid-lengths by spraying EIMI Sugar Lift and diffusing it using the ghd Air hairdryer and diffuser. 6. With the ghd curve classic curl tong add the slightest texture and movement through the ends of the hair. 7. A spritz of EIMI Dry Me lends a dusty, dryness to hair tips. 8. Tuck hair being worn down behind the ears, or scoop it up into a low-slung pony. In news that will surprise nobody – as in, why on earth hadn’t someone signed her up earlier? -world-renowned model, actor and activist Emily Ratajowski is the all-new face of luxury international haircare brand Kérastase. 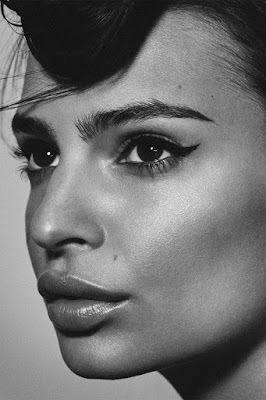 Whether you agree with her totally modern take on feminism or not, there is no denying that the stunningly beautiful Ratajkowski is a woman who refuses to let others define who she is. 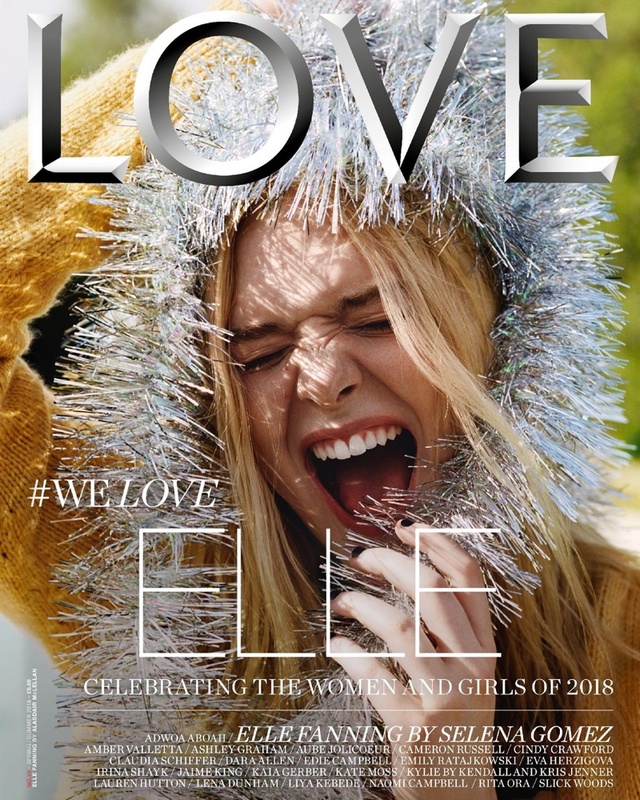 Free-spirited and supremely confident, she is everywhere you look: on the covers of major fashion magazines and constantly awing and inspiring her 15 million followers on Instagram. With an undeniable charisma on and off camera, Ratajowski moves effortlessly between the worlds of art, fashion, music and cinema. Born in Britain, she moved to Southern California when she was five. Her mother is an English literature professor and father an abstract painter and the 26-year-old grew up surrounded by books, art and close family. Her upbringing gave her the support and perspective she needed to begin modelling at 15 years old. She studied Fine Arts at UCLA before leaving to concentrate on her modelling career. Today, she continues to read avidly, draw and collect art. She defends a woman’s right to be strong, capable and sensual. It is a message she shares with women throughout the world, speaking up on issues including body shaming, sexism and discrimination. She is unapologetic. And then there is ‘Baby Woman’, the very personal and thought-provoking essay she penned for Lena Dunham’s feminist Lenny Letter that has become a must read for every adolescent girl discovering her womanhood. I personally love her chameleon nature: she’s continually changing her hair cut or style, making her a brilliant choice as a Kérastase muse. I can’t wait to see what they produce together! I’ve said in the past that foundation is like the white shirt of your beauty bag - an everyday essential that always works when and where you need it. But we all have a few white shirts depending on the hour and the season, and this also applies to your base. Consider the idea of building a closet full of foundation choices, as there’s no one-size-fits-all when it comes to makeup. My foundation wardrobe definitely includes a lot of Bobbi Brown Cosmetics formulas, and I’ve fallen in love with yet another – the brand’s all new Skin Long-Wear Weightless Foundation SPF15. mattifying coverage that’s breathable and weightless. And it that lasts. Its true-to-skin pigments blend perfectly into the skin for a pretty much foolproof application, and you get a full yet natural coverage that stays smooth, crease-free, and colour-true as day turns to night. Created with a high speed cold fusion process, the ultra fine, silky emulsion also features wear-extending ingredients as well as ones that infuse skin with hydration – all the while controlling oil. Magic!. 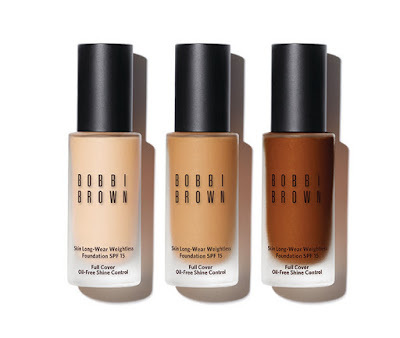 Available in 18 skin tone-correct shades, it retails for $86 and is on counter now, and also comes with a very special campaign. Called the #AllDaySmile Campaign, it calls on the talents of It Girls Olivia Palermo, Patricia Bright, and Pony, all of whom adventure around New York City (the birthplace of the brand) to test the staying power of the new foundation. 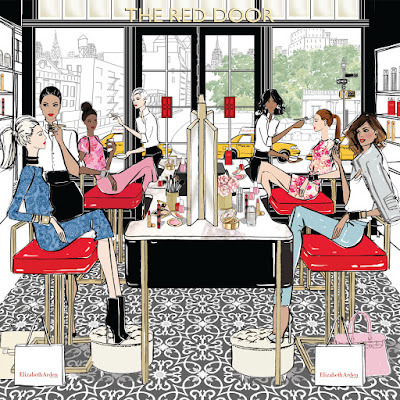 Each of the style and beauty stars offers a mini-guide to their go-to spots while giving the brand’s newest innovation a real-life road test. The result? All day wear, all day smiles. “It’s the foundation (no pun intended) for building your look for the day,” says Palermo. From cookies at Brooklyn bakery, One Girl Cookie to combing the shelves at Powerhouse Books for a new read to an end-of-the-day cocktail at hot spot Cecconi’s, Olivia remains flawless—no touch-ups necessary. Touching down in NYC for a day, reigning British beauty vlogger Patricia Bright packs her itinerary with stops at all her favourite places. Waking up at the trendy The Williamsburg Hotel, Patricia begins her day by applying Skin Long-Wear Weightless Foundation SPF 15 in Almond to ensure her makeup remains fresh for the long day ahead. “It complements my skin effortlessly without drying it out in the process,” says Bright. Jet-setting Korean beauty blogger and makeup artist Pony checks off all her must-see NYC spots while wearing her Bobbi Brown must-haves. As she peruses her favourite artists’ works at The Whitney Museum, shopping at Jeffrey and grabs a bite at restaurant-of-the-moment Old Rose, Pony stays fresh-faced with Skin Long-Wear Weightless Foundation in Ivory. “It makes my skin look even—controlling shine in oily spots and giving my skin moisture where it is dry—and matte, never flat,” says Pony. Elizabeth Arden is a beauty industry name that has long done anti-ageing well, working for decades to help us get back that elusive glow and the spring in your step that inevitably comes with it. Their innovation is always on point, and their latest news release - Ceramide Lift and Firm Sculpting Gel – is definitely no different. Powered by collagen-supporting peptides, skin-tightening peptides and moisture boosting ceramides, it’s a beautiful to use, super lightweight, invisible gel that has been created to “lift, firm and redefine” the look of facial contours. The heady cocktail that makes up the mix includes a blend of Ceramides 1, 3, 6, Cholesterol and Phytosphingosine - essential lipids naturally found in the skin’s barrier that help strengthen skin’s moisture barrier and smooth the skin. Hibiscus Abelmoschus Seed Extract is also in there to help support skin’s own natural collagen and elasticity for a firmer, more “lifted” look. Its silky consistency makes it perfect for the kind of humid days we’re experiencing Down Under right now, and the non-sticky, non-comedogenic formula easily absorbs into skin. In addition, its innovative, sculpting roller allows for mess free application: just turn the applicator to “on” and gently squeeze to release product, then return to “off” and gently massage the roller in an upward, lifting motion along your jawline, neck and under the cheekbones. This beauty is designed to be applied morning and night after your moisturiser of choice,and continued use aims to deliver visible definition and lift along facial contours. Love that! 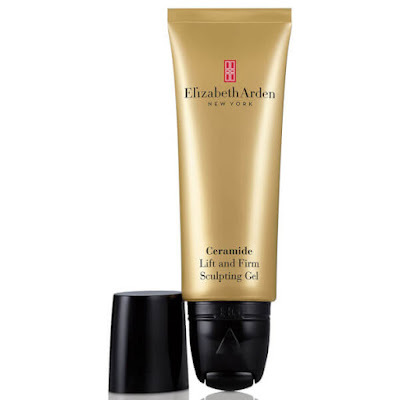 This baby is available at Elizabeth Arden counters nationwide right now, RRP$151 for a 50ml tube.